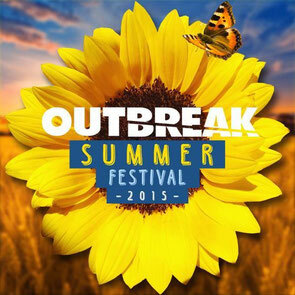 Outbreak Festival takes place 23 and 24 of May 2015, spread across two days and features more than 200 headline artists from the worlds of house, techno, bass, garage, D&B and everything in between. The festival takes place in the natural landscapes of Raceway Fields & Forest at Donnington Park in Leicestershire. Outbreak Festival will feature stages hosted by brands such as VIVa Warriors, Defected In The House, Sven Vath & Friends, Tribal Sessions, CUFF hosted by Amine Edge & DANCE in the extra special VIP Village, The World of Drum & Bass and Garage Nation. DJs and live acts include the likes of French trio Apollonia, UK chart toppers Gorgon City, Hot Creations’ Jamie Jones, Saved boss Nic Fanciulli, VIVa Warrior Steve Lawler, Cocoon’s Sven Vath, France’s Amine Edge & DANCE, Panoramabar’s Cassy, Tribal Sessions resident Darius Syrossian, DC10 pin-ups Matthias Tanzmann and Davide Squillace, Chicago house don and Classic Music Company co-boss Derrick Carter, DJ EZ, DJ Oneman, Patrick Topping, Preditah, Redlight, Roger Sanchez presents S-Man, Secondcity, Shadow Child, Shy FX, Subb-An, Yousef, wAFF and plenty more besides.